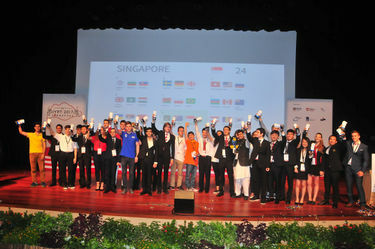 Welcome to the official website of the International Young Physicists’ Tournament. The IYPT, also referred to as “Physics World Cup”, is a team-oriented scientific competition among teams of secondary school students. The participants present their solutions to scientific problems they have prepared over several months and then discuss their solutions with other teams. The roles of Reporter (Presentation), Opponent and Reviewer are graded by a jury consisting of international experts. Problems for the 32nd IYPT 2019 are already published. The 32nd IYPT will take place in Warsaw, Poland from July 6th till July 13th. The IOC meeting will be held after the tournament, from July 13th till July 15th. Pre-registration for IYPT 2019 will be opened soon. The pre-registration deadline is January 31st 2019. IYPT 2017 was held in Singapore from 5th to 12th of July 2017, hosted by the National University of Singapore. IOC meeting was held from 12th till 14th of July 2017. 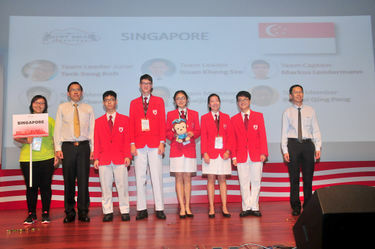 Congratulations to all participating and award-winning Teams, especially to the winners from Singapore and Teams taking part in the final: China, Poland and Hungary.